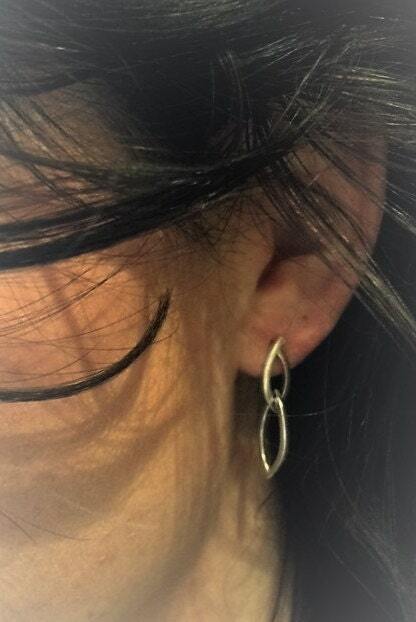 Elegant dangle earrings comprising two sterling silver marquise forms made of 1.5 mm square wire. 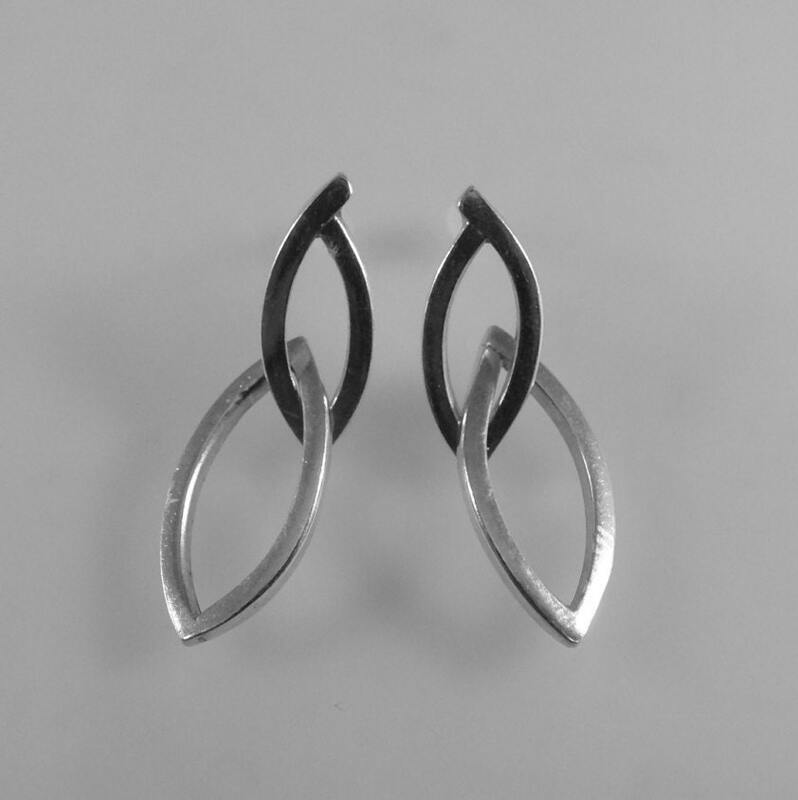 The links are not cast but individually handmade using sawing and mitering techniques. 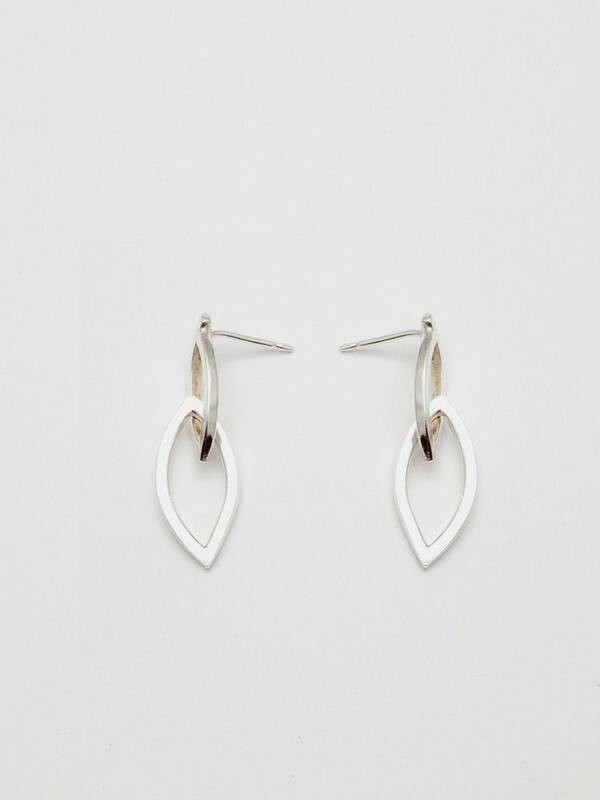 The earrings are secured by a sterling silver earring post fastened with silver scrolls.